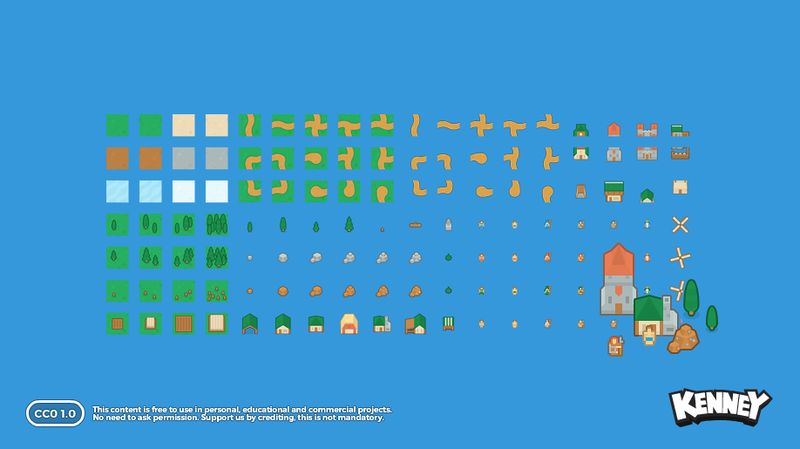 This package includes structures, environmental objects, units and tiles to create RTS games (town building, strategy). 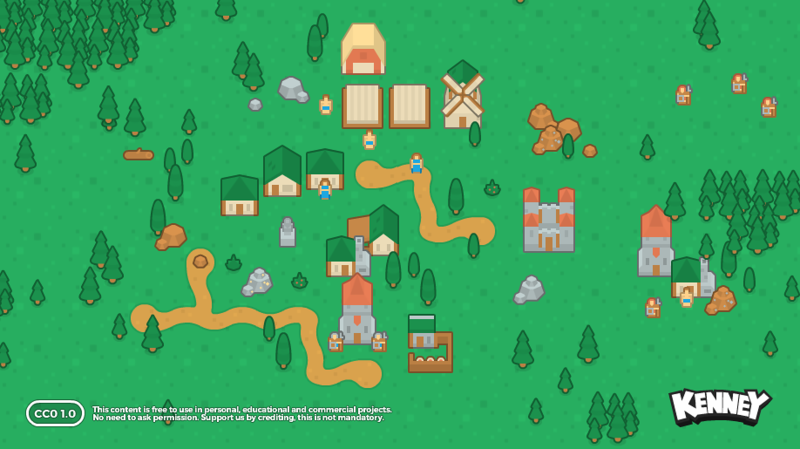 These sprites will be so useful for a map in my future RPG project. Thanks!